If I’ve had a really rough day sometimes I like to listen to music to unwind; my go-to for those moments is often ethereal music. Ethereal music was seeded in the 80’s with influences like the Cure and Cocteau Twins and peaked in the 90’s. It frequently features female vocals that often blend with the music and are sometimes treated like another instrument. This gives some of its bands a bit of a similarity to some shoegazer groups like Lush and Curve, but it often uses more electronic influences and tends to be a bit on the gloomier side atmospherically and is often considered under the larger umbrella of the darkwave genre. It’s the perfect music to relax to after a long day at work or in class. Here are a few of my favorites. In addition to borrowing CDs, Hoboken Library Card holders can download 5 songs per week from Freegal and they along with other BCCLS card holders can borrow (typically for 7 days) up to 16 digital albums or other items a month from Hoopla. My best friend surprised me with the Delerium CD Karma for my birthday one year. I was immediately drawn in to the beautiful music and haunting female vocals. Delerium is the side project of Canadian Industrial act Front Line Assembly’s Bill Leeb (and frequently Rhys Fulber) which features a variety of guest vocalist including Kristy Thirsk. They are probably best known for their song “Silence” which includes the vocals of Sarah McLachlan. 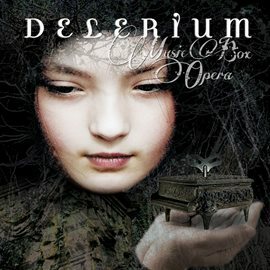 Many of Delirium’s LPs and EPs are available on Hoopla including Semantic Spaces, Poem, and Chimera. I was luckily enough to see them live in New York on one of their tours and although some of the songs were performed by different vocalists than on the albums their innate exquisiteness remained. 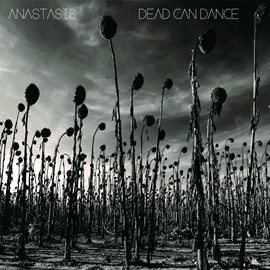 Dead Can Dance is probably the most well-known on this list. The group is comprised of Australian Lisa Gerrard and English musician Brendan Perry. Their music often brings in elements of world music. One of the best live performances I have ever experienced was seeing them at Radio City accompanied by a full orchestra. Their album Anastasis is available from Hoopla. You can download several songs they recorded live from Freegal including “Ubiquitous Mr. Lovegrove” and “Song to the Siren”. Into the Labyrinth, Toward the Within, and Anastasis are available on CD from BCCLS libraries. Gerrard’s solo work is also lovely. 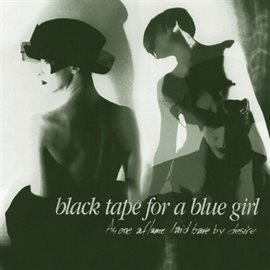 During the 80’s and 90’s Sam Rosenthal’s Indie Record Label Projekt released a number of works by ethereal artists including those by his own band Black Tape for A Blue Girl. Their sound and lyrics are intensely evocative. I had the pleasure of seeing them perform twice once in NY in the late 90’s and later at Projektfest that was part of the 2007 Black Sun Festival in New Haven, CT. The Rope, As One Aflame Laid Bare By Desire, The Scavenger Bride and more of their work are available from Hoopla. Lovesliescrushing is another Projekt artist. Their music like their name has a blurry quality that melds all their instrumentation, including unusual choices like sound of screwdrivers, together as one melodic whole. Xuvetyn and Bloweyelashwish are available from Hoopla. 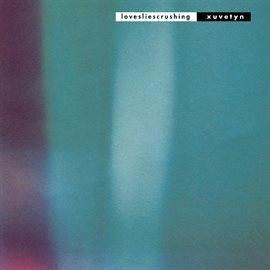 If you are a fan of My Bloody Valentine, you will likely enjoy Loveliescrushing’s music as well. 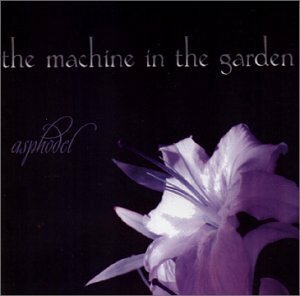 The Machine in the Garden was one of my favorite bands while I was in college and I was very excited when I got to see them perform at QXT’s in Newark. Their music is a haunting mix of dark electronics and beautiful operatic female vocals. Songs from Out of the Mists, One Winter’s Night, Shadow Puppets, and Asphodel are available to download from Freegal. “The Sleep of Angels” is one of my favorite of their songs.